Our company excels in the domain of manufacture, supply, trade and export of Safety Device which includes Spark Lighter and Cooking Gas Saver. These fire fighting accessories are used for the purpose of providing protection in case of fire. These accessories are manufactured at par with the set industry standards. Apart from this, these undergo excellent finishing. 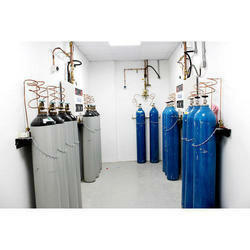 For our valued clients, we are offering an excellent range of Medical Gas System. Moreover, these products are made available in a wide range of sizes and designs to choose from.